From hell.Mr. Goode, I send you half the Kidne I took from one man prasarved it for you tother piece I fried and ate it was very nise. I may send you the bloody knif that took it out if you only wate whil longer. P.S. The bad spelling is courtesy of Jack the Ripper! Very interesting! Especially the spelling. That must be quite the character - he's doing such interesting things. Interesting teaser! I wanna read this badlyyyy. Sounds so good. o: Hope you enjoy! Thanks for stopping by. I want to check out this book! it sounds intersting! Nice teaser! Oh wow, the spelling must take some getting used to; great teaser! Hmm... interesting. The writing is definitely unique! Love the cover! And I've been hearing really great reviews about this book. LOL, very sinister! I love it! Great teaser! 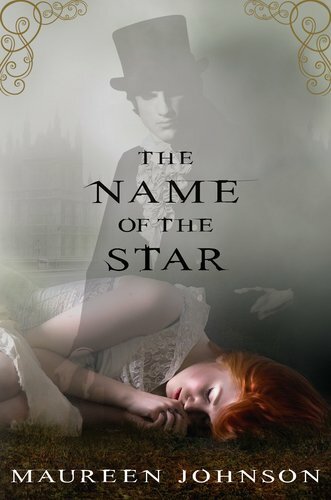 I also have a teaser from The Name of The Star!